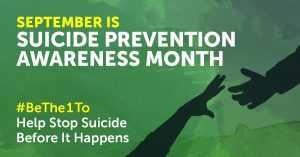 September is Suicide Prevention Awareness Month. 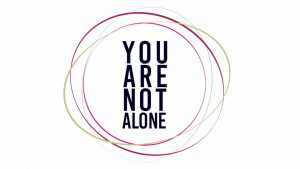 Four years ago, I lost a close friend and colleague to suicide. We lose an average of 1100 college students each year to suicide. There’s an average of 123 suicides per day. That’s like having one airplane crash every day! I gave speeches about suicide prevention after my friend’s death. Two years later, a woman approached me at a Toastmasters event and I mentioned I’d spoken to District 5 Toastmasters about suicide. She began to cry. She said she’d heard my speech and written down the last thing I’d said, which was “What will make you stay?” and posted it in her office. She said I had saved her life. The above story is to illustrate what speaking about suicide can do. One of the reasons for suicide is people are reluctant to talk about it and mental health. It’s not a warm and fuzzy subject. It might make you cringe a little inside, but it shouldn’t stop you from learning about what to say. And it shouldn’t stop you from reaching out. I love you. Are you okay? Are you thinking of committing suicide? Do you have a plan? What will make you stay? Do you need to talk? Reach out to me. I’m here.